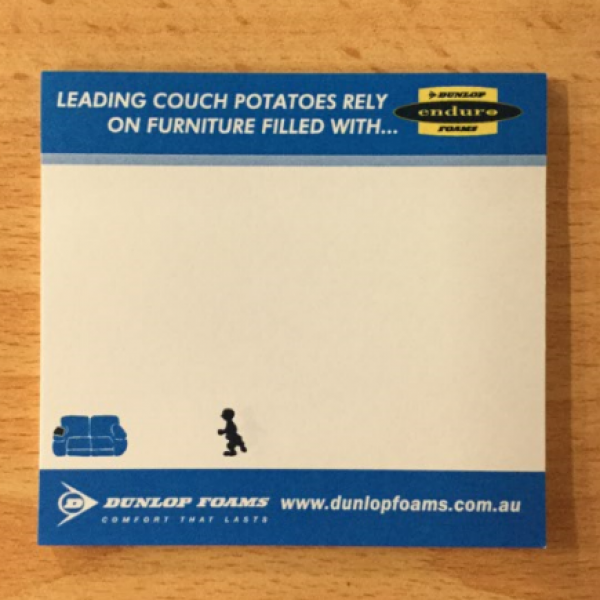 Perfectly sized, squared, and practical, this 75 mm x 75 mm white, full-colour sticky note pad makes an outstanding company give-away. 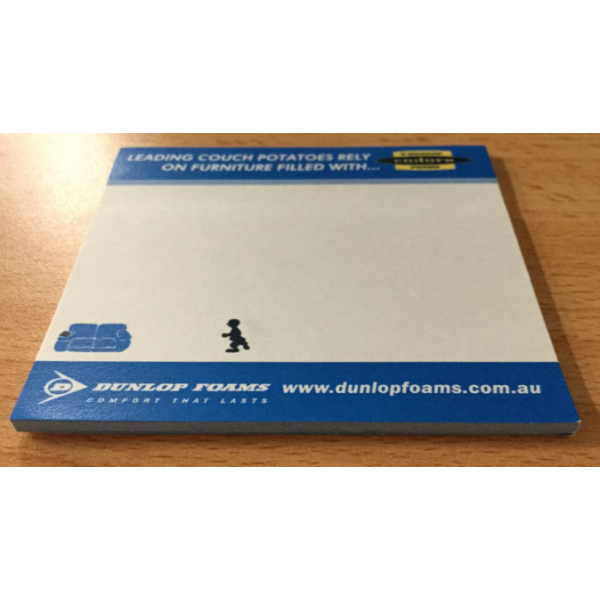 For maximum advertising exposure, headline the sticky note pad with your company logo and/or name as a visible reminder of your business and the excellent service you provide. Sticky note pads are one of the most commonly used products in the office setting. They are often used to jot down reminder notes, phone messages and numbers, and to mark up important documents. They are also so cost-effective that keeping a large quantity of branded sticky note pads in the office makes smart business sense. You never know in whose hands they will end up-it could be a brand new customer. 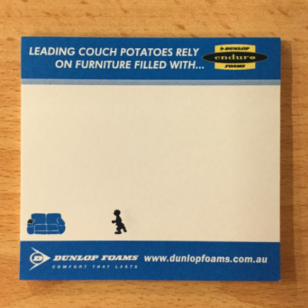 The sticky note pad contains 40 sheets of white paper that can be personally customized to your liking and printed in full-colour for maximum advertising impact. We do recommend that the imprint area be no larger than 50% of the page size so that there is appropriate writing space for the end-user. The white custom sticky note pads contain a backing paper as the last page and an adhesive strip that can be positioned on any one side of the sticky note pad. 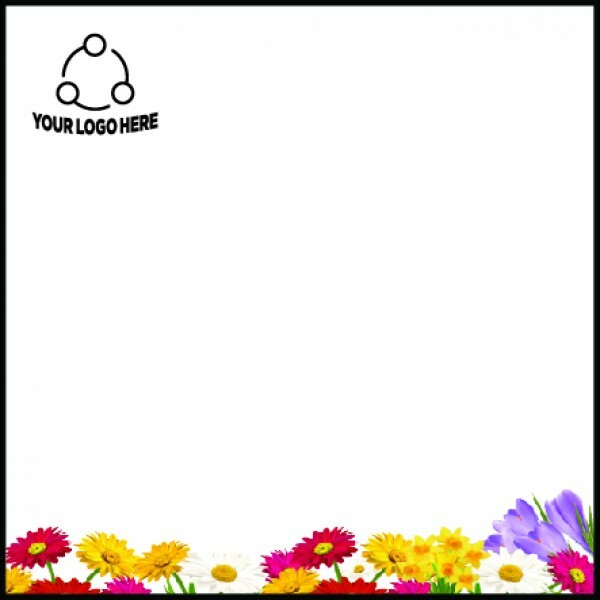 Stock up today on this inexpensive and useful office product and let its full-colour, company branded personalization work for you.